Living in Florida means sun, sand & surf and builders often look to provide potential residents with access to premier beachfront sites and private boardwalks. 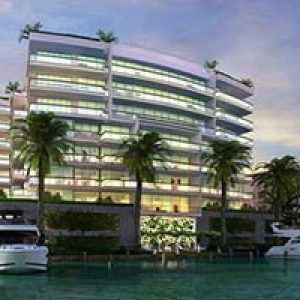 But, if you are also a boater you can find it difficult to locate luxury condominium living with onsite access; unless of course you live at 1800 Las Olas Boulevard, Fort Lauderdale. 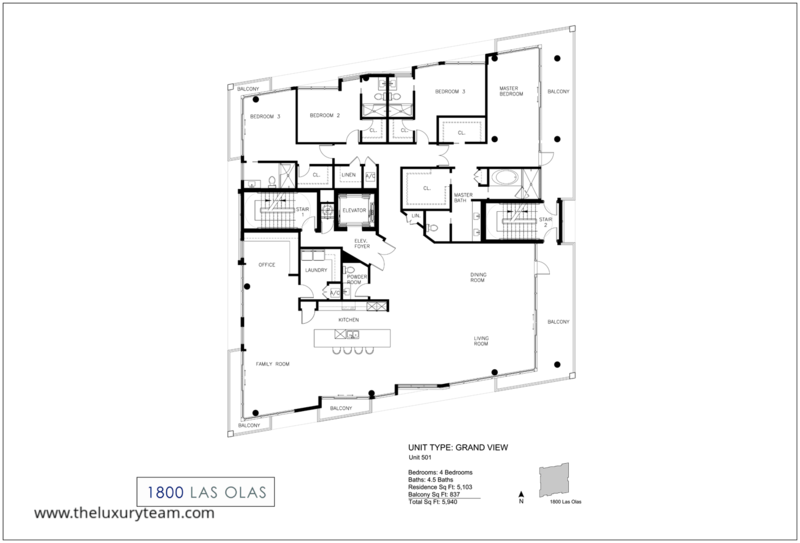 The is the location of the latest project by Ocean Land Investments appropriately named 1800 Las Olas, a site which has been referred to as “a boater’s paradise”. With 8 waterfront luxury residences adjacent to a private 8 slip marina complete with deep water channel access it is easy to see how this title may say it all. There will also be convenient onsite storage for paddleboards, kayaks and even PWCs. Aside from the private marina, residents will also have access to full resort style amenities including a state of the art & fully equipped fitness center, high speed private elevators, breath taking Zen garden, communal barbeque area and complementary Wi-Fi access in common areas. You will also appreciate the secure garage, building & elevator access control, 24/7 security monitoring, electric car charging stations, private storage including in garage bike area and hurricane windows throughout. Each individual unit will include additional custom features expected in such a fine setting. Floor to ceiling windows provide panoramic views of downtown lights and the adjacent waterways while large balconies with glass railings provide instant access to the Florida sun. 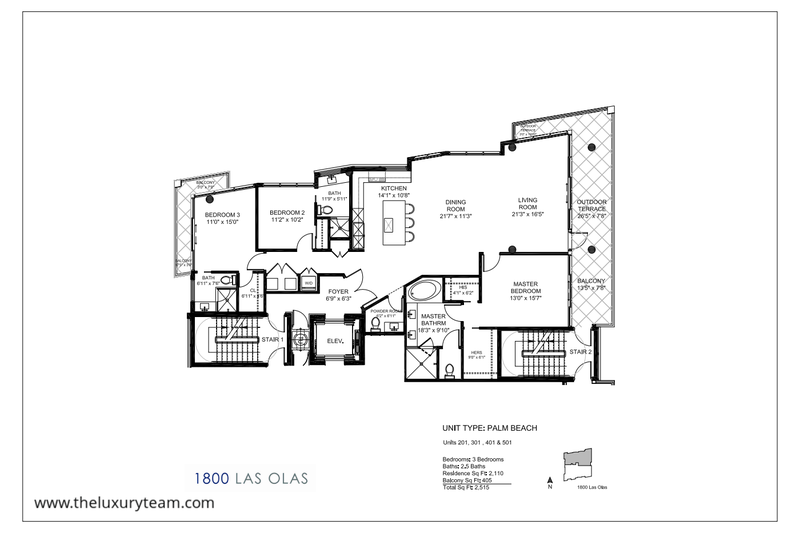 Large walk in closets and spacious living areas with high ceilings provide the best use of the available space. Gourmet kitchens include Italian cabinetry, quartz countertops, Sub Zero & Wolf appliances and Frankie under mount sink with Delta faucet. Baths will also include custom Italian cabinetry and quartz countertops with Frankie under mount sinks, frameless glass enclosed showers, Delta faucets, Toto plumbing fixtures and designer tub & vanity. Fort Lauderdale provides residents of 1800 Las Olas with easy travel options for trips both local and abroad. Broward County Transit & Metrobus service the surrounding area and even Miami, as does the Tri-Rail commuter rail system. Those going a little further from home will find it easy to do so via any of the four rail systems servicing the area or their choice of three international airports – including Fort Lauderdale-Hollywood International Airport which is the fasting growing terminal in the country. Don’t miss out on this opportunity to be a part of South Florida’s fastest growing and hottest community.